Here are some of the reasons why their self-published books don’t sell. I have included some vital information to assist self-published authors with their book sales. 1. Obscure subject—Books that do well are those in a popular niche, naturally. If you want to tell your personal story, ensure its success by tying your story into how-to steps that your reader can take to change his or her life. For example, if you’re writing your story about surviving cancer, focus on a specific type of cancer (narrow your niche). Tell your readers how they can get results like you did and how you got through it. 2. Poorly edited—Sure your close friends and family will buy your book to support you, but all it takes is one nasty Amazon review from a reader outside your circle to dampen your overall sales. If you have a list of devout followers who hang on your every word, you can get them to give your book five stars on Amazon. Have your book’s content professionally edited by a book publishing industry expert. You’ll go a long way towards satisfying your readers and getting complete strangers to sell your book for you by recommending it to their friends. 3. Poorly written— Having a manuscript appraisal completed before the editing part of the process is one step in the right direction. Hiring a professional book editor prior to the book publishing and printing process is a must. 4. Unprofessional cover design—It’s been proven that a clean, professional, easy-to-read book cover design sells more books. Believe me when I tell you, your readers will know the difference. A good book cover design has elements that draw the reader in to click, learn more about your book and buy it. A professional book layout designer understands the need for different spacing in the margins, paragraph styles, bullet-ed lists and the importance of other styles staying consistent. 6. Yucky book formatting—In the world of eBooks, correct formatting is the key. Bad spacing, words appearing at random, graphics overlaying text, whole chapters bold and italicized. Have your eBook professionally completed. Instant eBook programs can turn it into an eBook, yes. But the layout does not look appealing. The more complex your layout is, especially if you created a print book with a professional designer first, the more you should invest in a good eBook programmer. These programmers specialize in eBook XHTML language (which can be different than your standard website code) They know what it takes to avoid most of these issues. 7. Whatever you do, don’t rush the process—Producing a high quality book that sells takes time. The more corners you cut and the more you rush the process, the more it will show in your finished product. If you want to compete in the market, take time to create high quality work, both in polishing your writing and producing your final book. 8. Bookstore Requirements—Having a book signing at a brick-and-mortar store can be a huge deal for an author. Not only does it feel great, but many Barnes and Noble stores get their guest authors to appear on local news stations and listed in newspapers. This is free publicity! 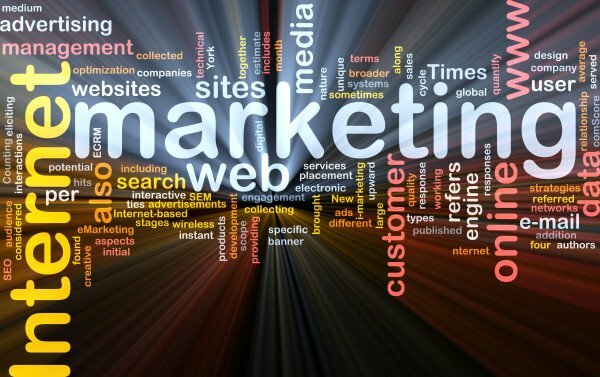 By meeting these rigid requirements, other marketing doors will open for your book. If your book doesn’t meet their requirements, you must focus mainly on online sales and any you can sell out of the trunk of your car. 9. Expectations—Many authors set their expectations so high that they become disappointed. You may sell one book or thousands. If you expect everyone to come knocking down your door because you just hit the “publish” button on your book, you’ll be sorely disappointed. If you’re not careful, this disappointment can quickly lead to depression and a sense of failure, and those are emotions may be hard to keep to yourself. Spread those feelings and no one will want to buy your book, no matter how good your book is. Be realistic in your expectations, and surprised and excited at your success! 10. Marketing—If your book meets everything in the list above, it still won’t sell if you don’t market it. In the end, It doesn’t matter how your book gets published, you must market it. You can do everything right, but if you don’t tell people about your book, how can they consider buying your book? Important notes with self publishing: Invest your time with learning. It’s the only way you’ll succeed as a self-published author. Do it right. Do it once! Angel Key Publications is a self-publishing company able to visit new authors in Brisbane, Gold Coast, Sunshine Coast and South Burnett region. – We can provide all self publishing requirements to people Australia-wide. We love helping authors dust off their manuscript and bring their manuscript into a self published book. At Angel Key Publications, care is our point of difference. We pride ourselves on offering the best professional services, consistent with our value of reliability. Our affordable publishing package prices will surprise you. You helped my dear uncle complete his book – ‘The Church What is it’. IN a time of desperation you were there to heighten our spirits. Thank you Love of Books for all your care and support. You worked through the day and night in order to get his book to him in his final days. He got to see his book in print before he passed. A life long dream you made come true. Loved and never forgotten. I live in a remote location. I am not good with the computer. I just love drawing and writing children’s stories. Love of Books team took the lead and assisted me along the process of self publishing well and above what i ever imagined. It has been 8 years on now. I have published all my children’s books with Love of Books. Just put a new one in called: Pedro the Chihuahua. If it wasn’t for Love of Books I could not have done these books for sure. First time authors Love of Books I am so happy and are enjoying the publishing journey 8 years on.